The start of any school year, whether you’re a parent or student, can be a harrowing ordeal. But, with a little preparation, you can sail through these first few months with your schedule down pat and your sanity intact. You’ve bought all the things the teachers require – folders, pens, flash drives, books, crayons, that very specific model scientific calculator that cost half your school supply budget… but what about organizing your school life at home? Even with many teachers foregoing homework, there will inevitably be some overflow that your kiddo didn’t complete in class, or college papers your professors expect you to write on your own time. If you don’t already have one, create a homework station. Traditionally, this is a desk stocked with all the papers, pens, and charging ports for your iPad that you could ever need. But, if you don’t have the room (or money) for a desk specially designated for school work, even a space on the dining room table, or a well-lit corner in the living room can serve as a good place to focus and get down to business. Use folders or a mail sorter to keep track of incoming and outgoing school work, permission slips, picture forms, and fundraiser catalogs. 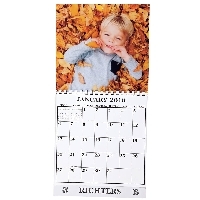 A big family wall calendar can help organize the busy schedules of multiple students, not to mention mom and dad, with all their various field trips, doctor’s appointments, extracurricular activities, and sleepover dates. Designate an easy to use place for these things so you never have to wonder what you did with the school pictures order form again. Before things kick into high gear, it’s good make a plan for meals and snacks. Stock up on healthy grab-and-go foods. Granola bars, prewashed fruit, and yogurts can make quick snacks to keep from running on empty. Come up with a menu for the next couple of weeks so you aren’t stuck wondering what to make for dinner on a Wednesday night after color guard practice. For nights that you know will be busy, plan a crock pot meal to prep in the morning so dinner is hot and ready by the time you get home. Pre-make some frozen meals (lasagna and enchiladas come to mind) on the weekend to pop into the oven at a moment’s notice. And don’t discount leftovers. Planned leftovers can make for good heat-and-eat lunches the next day, or something easy the kids can nuke on the weekend. It is a proven fact that your mind is not operating at peak capacity if you aren’t well rested. With busy schedules, it can be difficult sometimes to complete all your tasks before a reasonable bedtime. But for students of any age, adequate sleep is essential to memory and learning. When you get a minute to breathe, like a Saturday or Sunday afternoon, take a good look at your schedule for the coming week. See what assignments are coming up and what extracurricular activities you need to work around. Do any homework assignments you can on days when you aren’t at football practice until 9:00 at night. Some impromptu assignments instructors might assign you are unavoidable, but pre-plan as well as you can so you can get the required amount of sleep for your age. Then, take the steps needed to make sure you actually can sleep when the time comes. Stop drinking caffeine six hours before bedtime. Avoid blue light (like that emitted from your smart phone, computer, or television) two hours before you plan to hit the sack. And try to eat your last meal of the day a couple of hours before bedtime. Some years, it seems like everything falls into place perfectly. Other years, it seems you can’t avoid all the random things being thrown at you. Whatever year this turns out to be, just do your best and forgive yourself if you can’t nail down that ideal sleep schedule, or your family eats fast food after game practices a few too many times a week to be considered strictly healthy. No one is perfect, and we make up for it in the down times as much as we can. Life gets crazy. But it doesn’t have to make you crazy with it.